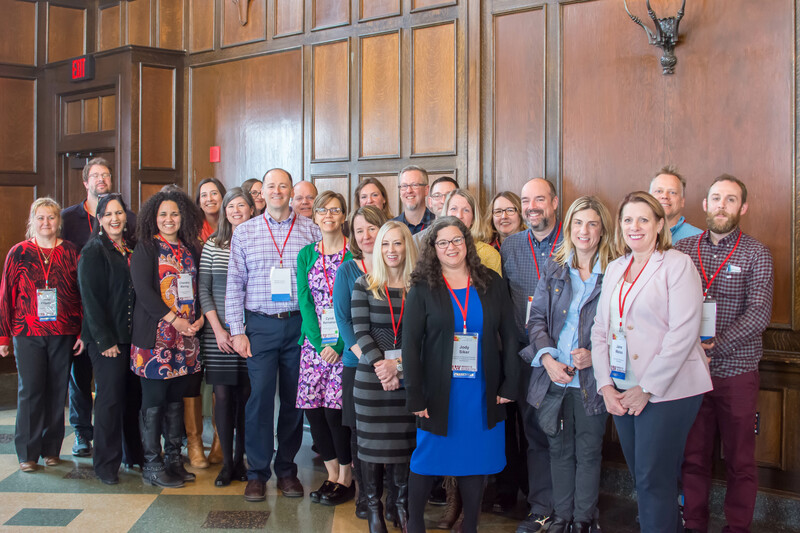 From left: Anna Filipova, Eric Eager, Laura Khoury, Chandra Waring, Renee Calkins (not visible), Holly Attenborough, Erin DeMuynck, Amanda Tucker, David Voelker (WTFS Co-Director), Carter Smith, Cyndi Kernahan (WTFS Co-Director), Diane Jacobson, Valerie Murrenus-Pilmaier, Edie Wasyliszyn, Paul Van Auken, Jeff Goodman, Jody Siker, April Bleske-Rechek, Debbie Stanislawski, James Murray, Debra Siebert, Jane Weiss, Glenn Spiczak, James Carlson. Not present: Jon Shelton, Heidi Sherman. UW-Eau Claire April Bleske-Rechek Scholar Psychology HHH 255, 105 Garfield Ave.
Carter Smith Scholar Languages 4912 Centennial Hall, 105 Garfield Ave.
Jeffrey Goodman Scholar Psychology HHH 264, 105 Garfield Ave.
UW-Green Bay Jon Shelton Fellow Democracy and Justice Studies MAC A324, 2420 Nicolet Dr.
Heidi Sherman Scholar Humanistic Studies Theater Hall 387, 2420 Nicolet Dr.
UW-La Crosse James Carlson Fellow Educational Studies 160 B Morris Hall, 1725 State St.
Eric Eager Fellow Mathematics 1725 State St.
James Murray Scholar Economics 403 T Wimberly Hall, 1725 State St.
UW-Oshkosh Anna Filipova Scholar Public Administration 800 Algoma Blvd. UW-Parkside Jody Siker Fellow Institute of Professional Educator Development Molinaro D-111, 900 Wood Rd. Laura Khoury Scholar Sociology-Anthropology 317 Greenquist, 900 Wood Rd.